Last week the South Korean government lifted its ban of imported U.S. poultry and poultry products. The country had banned poultry after detecting highly pathogenic avian influenza (HPAI). South Korea will also temporarily allow U.S. eggs and egg products to enter the country duty free as a result of a domestic shortage. In 2011 three U.S. government agencies, the CDC, the FDA and the USDA’s Food Safety Inspection Service (FSIS) created the Interagency Food Safety Analytics Collaboration (IFSAC). The development of IFSAC allowed these agencies to combine their federal food safety efforts. The initial focus was to identify those foods and prioritize pathogens that were the most important sources of foodborne illnesses. The priority pathogens are Salmonella, E. coli O157:H7, Listeria monocytogenes and Campylobacter. To research the most important product sources, the three agencies collaborated on the development of better data collection and developed methods for estimating the sources of foodborne illnesses. Some of this research was to evaluate whether the regulatory requirements already in effect were reducing the foodborne pathogens in a specific product matrix. The collection, sharing and use of this data is an important part of the collaboration. For example, when the FDA is in a facility for routine audit or targeted enforcement, they will generally take environmental swabs and samples of air, water and materials, as appropriate, which are then tested for the targeted pathogens. If a pathogen is found, then serotyping and pulsed-field gel electrophoresis (PFGE) fingerprinting is performed, and this is compared to the information in the database concerning outbreaks and illnesses. This data collection enables the agencies to more quickly react to pinpoint the source of foodborne illnesses and thereby reduce the number of foodborne illnesses. The IFSAC strategic plan for 2017 to 2021 will enhance the collection of data. The industry must be prepared for more environmental and material sampling. Enhancement of data collection by both agencies can be seen through the FSIS notices and directives, and through the guidance information being produced by the FDA for FSMA. Some examples are the raw pork products exploratory sampling project and the FDA draft guidance for the control of Listeria monocytogenes in ready-to-eat foods. Starting May 1 2017, the next phase of the raw pork products exploratory sampling project will begin. Samples will be collected and tested for Salmonella, Shiga-toxin producing E. coli (STECs), aerobic plate count and generic E. coli. In the previous phase, the FSIS analyzed 1200 samples for Salmonella for which results are published in their quarterly reports. This is part of the USDA FSIS Salmonella action plan published December 4, 2013 in an effort to establish pathogen reduction standards. In order to achieve any objective, establishing baseline data is essential in any program. Once the baseline data is established and the objective is determined, which in this situation is the Health People 2020 goal of reducing human illness from Salmonella by 25%, one can determine by assessment of the programs and data what interventions will need to take place. The FDA has revised its draft guidance for the control of Listeria monocytogenes in ready-to-eat food, as per the requirement in 21 CFR 117 Current Good Manufacturing Practice, Hazard Analysis and Risk-Based Preventive Controls for Human Foods, which is one of the seven core FSMA regulations. 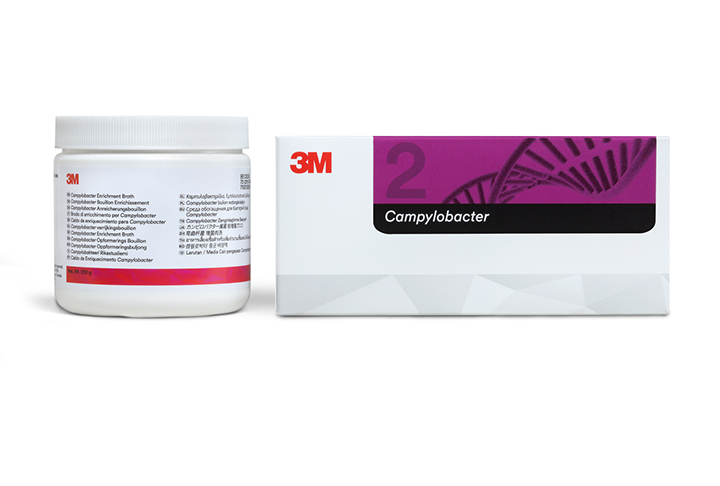 Ready-to-eat foods that are exposed to the environment prior to packaging and have no Listeria monocytogenes control measure that significantly reduces the pathogen’s presence, will be required to perform testing of the environment and, if necessary, testing of the raw and finished materials. Implementing this guidance document helps the suppliers of these items to cover many sections of this FSMA regulation. The purpose of any environmental program is to verify the effectiveness of control programs such as cleaning and sanitizing, and personnel hygiene, and to identify those locations in a facility where there are issues. Corrective actions to eliminate or reduce those problems can then be implemented. Environmental programs that never find any problems are poorly designed. 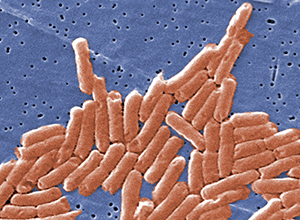 The FDA has stated in its guidance that finding Listeria species is expected. They also recommend that instead of sampling after cleaning and/or sanitation, the sampling program be designed to look for contamination in the worst-case scenario by sampling several hours into production, and preferably, just before clean up. The suggestion on this type of sampling is to hold and test the product being produced and to perform some validated rapid test methodology in order to determine whether or not action must be taken. 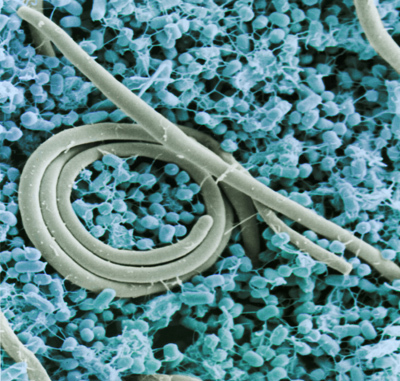 If the presence of a pathogen is confirmed, it is not always necessary to dispose of a product, as some materials can be further processed to eliminate it. With this environmental and product/material testing data collected, it is possible to perform a trends analysis. This will help to improve sanitation conditions, the performance of both programs and personnel, and identity the need for corrective actions. The main points to this program are the data collection and then the use of this data to reduce the incidence of foodborne illness. Repeated problems require intervention and resolution. Changes in programs or training may be necessary, if they are shown to be the root cause of the problem. If a specific issue is discovered to be a supply source problem, then the determination of a suppliers’ program is the appropriate avenue to resolve that issue. Generally, this will mean performing an audit of the suppliers program or reviewing the audit, not just the certificate, and establishing whether they have a structured program to reduce or eliminate these pathogens. The USDA has finalized federal standards to lower the incidence of Salmonella and Campylobacter in ground chicken and poultry (including raw chicken breasts, legs and wings, which comprise about 80% of the chicken that American’s purchase). FSIS updated its microbial testing schedule at poultry facilities and will also start posting food safety performance about companies online. Intended to achieve at least a 30% reduction in Salmonella illnesses, a pathogen reduction performance standard for chicken parts, ground chicken and ground turkey is being finalized by FSIS. It is doing the same to achieve a 32% reduction in illnesses from Campylobacter in chicken parts and ground chicken. FSIS estimates a low prevalence of Campylobacter in ground turkey and is thus aiming for a 19% reduction. As part of a federal goal to achieve a 25% reduction in Salmonella illnesses related to meat and poultry products by 2020, USDA’s FSIS has revised and published guidelines for poultry processors. The document, “FSIS Compliance Guideline for Controlling Salmonella and Campylobacter in Raw Poultry”, intends to provide best practices based on scientific and practical considerations for minimizing pathogen levels and meeting FSIS food safety requirements. FSIS is also seeking comment on the fourth edition of the updated document. There has been little change in the number of confirmed Salmonella cases, which sicken more than 1 million people annually in the United States. The guidance is part of FSIS’ Salmonella Action Plan, which was announced in December 2013. 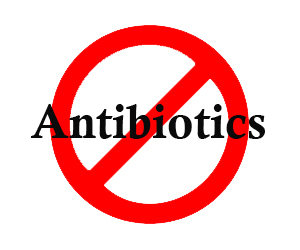 Last week California Governor Jerry Brown signed into law a bill that bans the use of antibiotics in meat production. The legislation, SB-27 Livestock: use of antimicrobial drugs, prohibits the administration of antibiotics in livestock unless ordered by a licensed veterinarian via a prescription or veterinary feed directive. As such, the law bans using drugs to promote weight gain or improve feed efficiency. Several organizations, including the National Resources Defense Council (NRDC), are applauding the legislation. On the NRDC’s blog, senior attorney with the organization’s health program, Avinash Kar, praised the passage of the final bill. “We’ve fought for many years to get the FDA to take genuine action on this issue, but the FDA has basically given the issue lip service and failed to take meaningful action,” wrote Kar. The legislation, also the most stringent nationwide, goes into effect January 1, 2018. It requires that the Department of Food and Agriculture, in collaboration with the Veterinary Medical Board, the State Department of Health, and other organizations put together antimicrobial stewardship guidelines and best management practices on how to properly use “medically important antimicrobial drugs. The departments would also be required to collect data on the use and sales of these drugs, along with data related to antibiotic resistant bacteria, and livestock management practice data. Violation in the bill’s provisions will result in a civil penalty of up to $250 for each day the violation occurs, as well as up to $500 in administrative fines for each day the violation occurs. The use of antibiotics in meat and poultry has been highly controversial for years, as it has been blamed for an increase in antibiotic-resistant infections. In addition, resistant bacteria can be transmitted to humans through the consumption of food. Antibiotic resistance and food safety has been a high priority by the CDC, which estimates that Salmonella and Campylobacter, cause nearly 410,000 antibiotic-resistant infections in the United States annually.